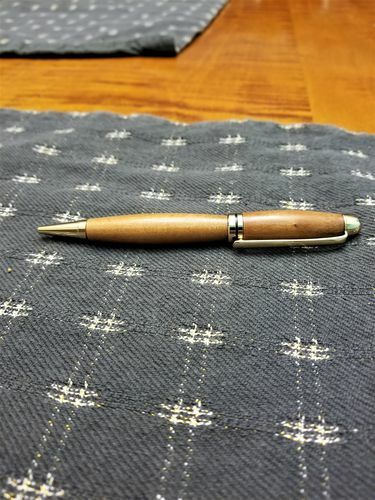 Here is a video on a designer pen I made recently out of cherry. I wanted to show you don’t need a lot of tools to get started. One note: I used an old ring from a damaged pen kit instead of the bushing kit. I don’t recommend using the ring that you plan on installing to the final product as it will probably get damaged during turning. Enjoy!